Honor Flight veterans visit Arlington National Cemetary in this file photo. 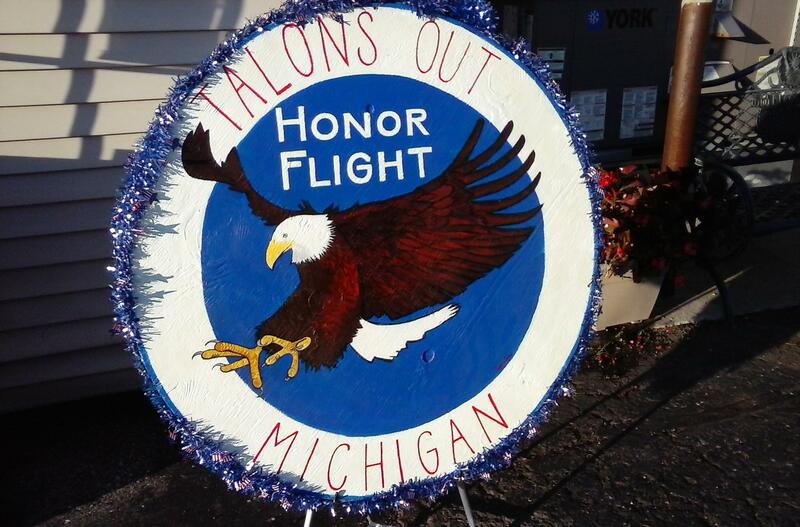 The Talons Out Honor Flight is a west Michigan non-profit group that gives veterans free flights to visit war memorials in Washington, DC. The group announced on February 5, 2019, that it will now help veterans of the Vietnam war era. Talons Out President Bobbie Bradley says the Honor Flight was originally just for veterans of World War II. However, she says applications from these veterans slowed after a few years, allowing the group to take on veterans from the Korean War. Now Bradley says the number of applications by Korean War vets is dropping well. She says that means it can now serve veterans of the Vietnam War. Although the cost of the flights to the nation's capital has almost doubled since the Honor Flights started, Bradley says they will continue. Bradley says the Honor Flights are a way for the group to help Veterans come to terms with their experiences while they were in uniform. But Bradley says the top priority of Honor Flight will still be veterans of World War II and the Korean War. And she admits that the addition of Vietnam-era veterans could mean longer waiting times to get on a flight.